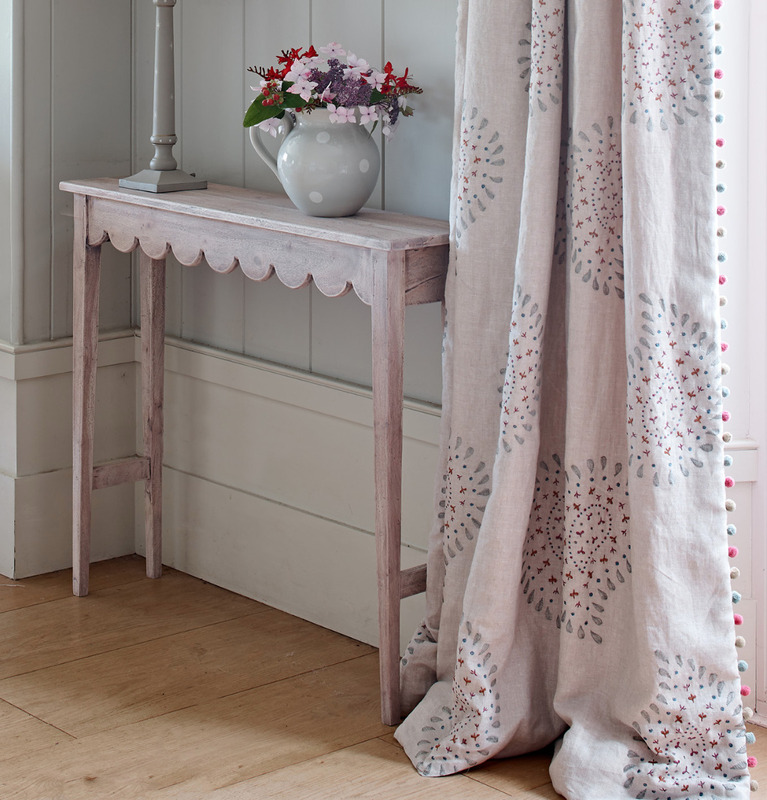 At Susie Watson Designs we offer a bespoke handmade curtain and blind make-up service. 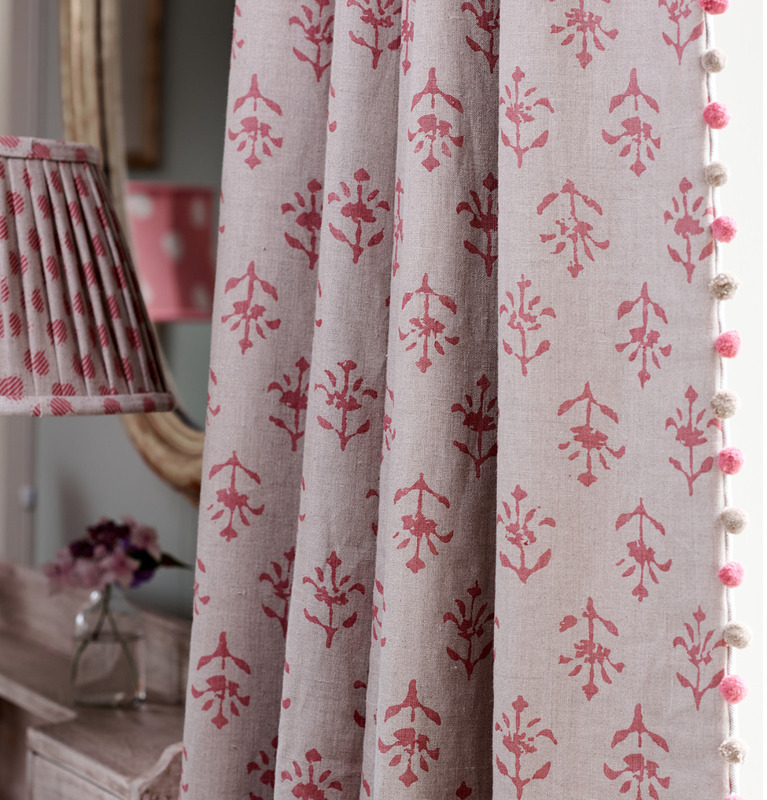 We believe that we can transform your room with beautiful handmade curtains and blinds, which can be made up in your choice of our gorgeous fabrics. Working closely with a professional workshop, we have developed our own iconic finish which is particularly suited to our fabrics. Every order is completely bespoke and we take time to understand your requirements so we deliver your perfect curtains or blinds. Below are some examples of our made-to-measure curtains and blinds. Typically, our curtains are heavily interlined and lined with our own striped cottons with a trimming inset into the leading edge. 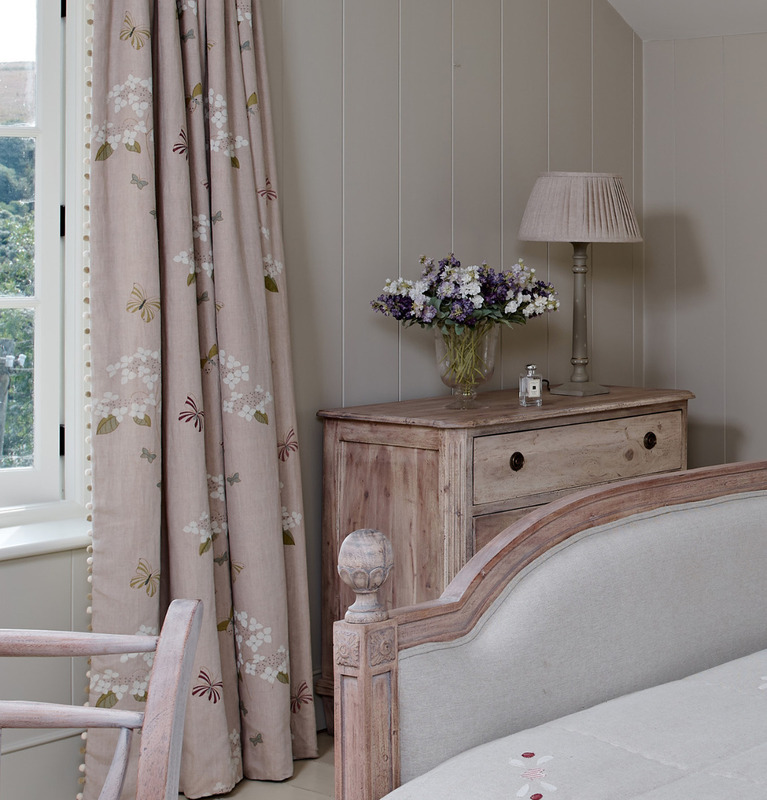 All curtains are hand headed with soft double pleats and look beautiful hung on our range of solid wood curtain poles. 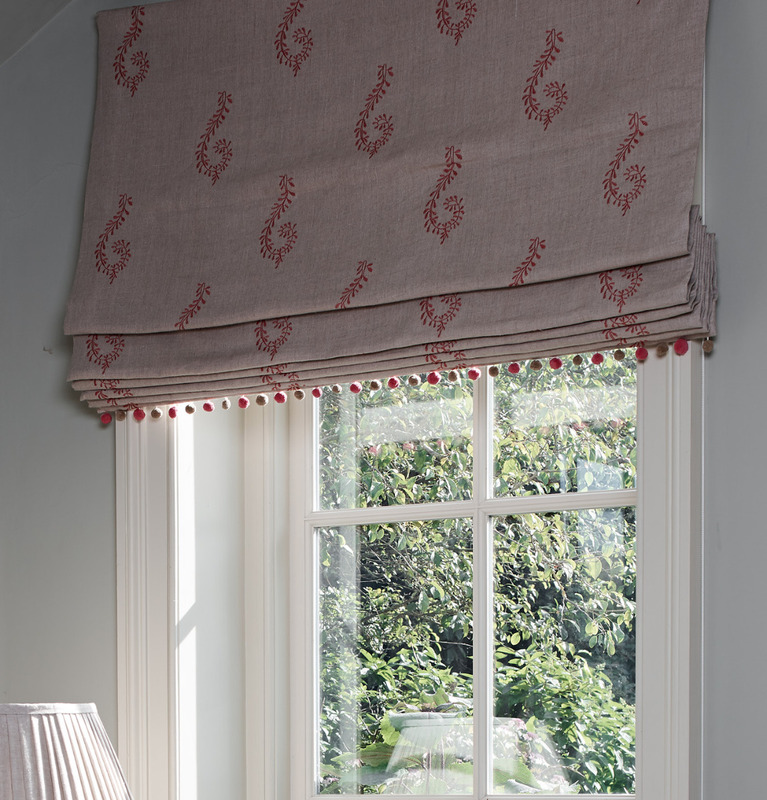 Our roman blinds can also be made in a selection of our fabrics and trimmings. 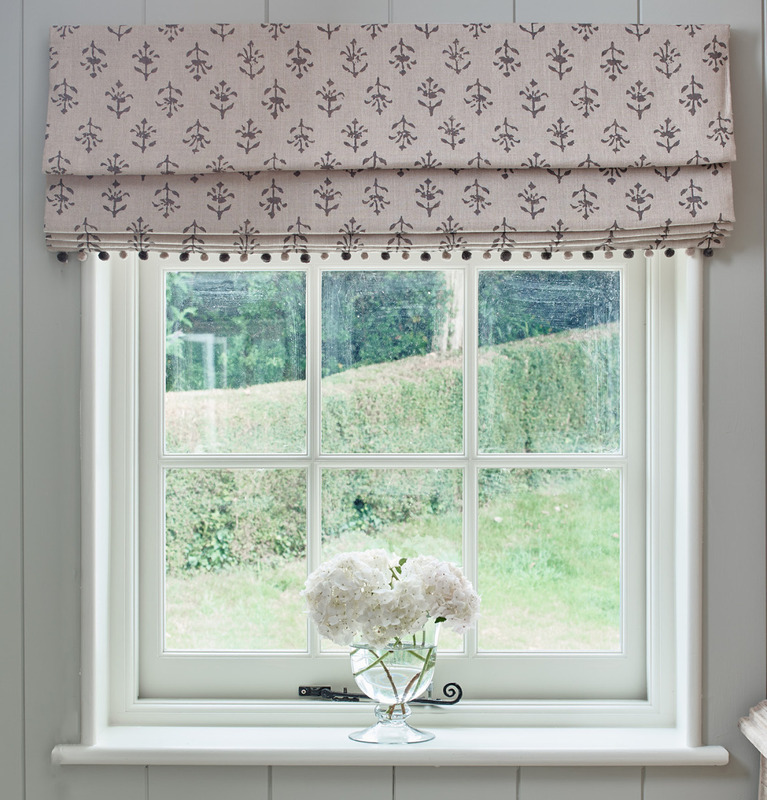 Bespoke pelmets and bed valances can be made to order to complement your room. 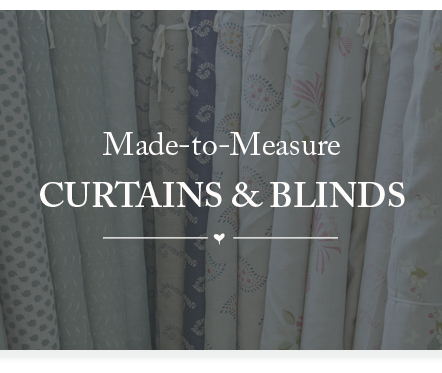 Our interior designer will personally measure your windows for made-to-measure curtains and blinds* and will bring along our fabric collection books, so you can compare samples and see how the fabrics will look in the room with your décor and lighting. 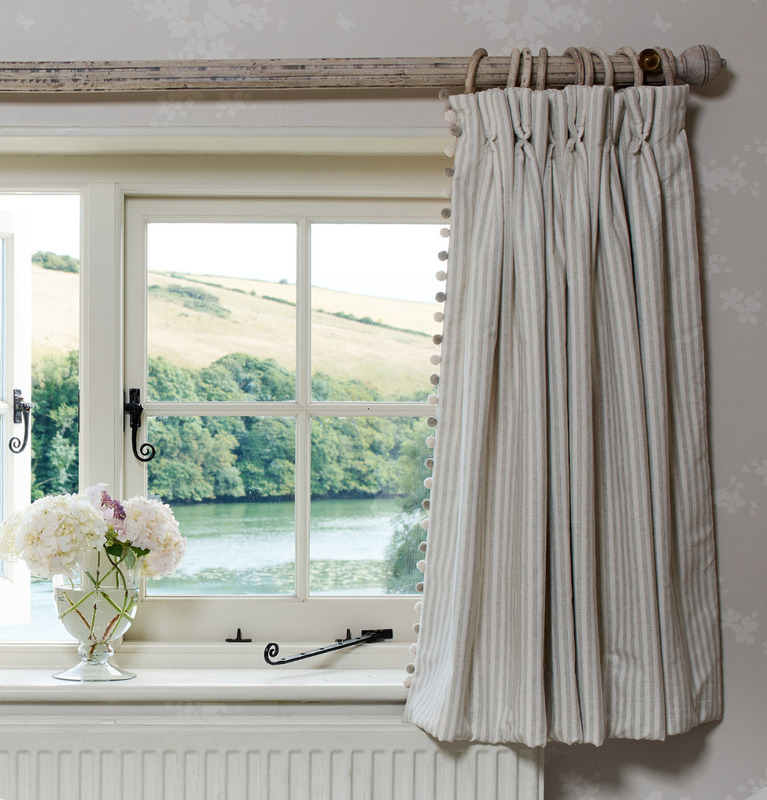 We can source accredited fitters to ensure your curtains and blinds are installed correctly. We also offer a bespoke full interior design service, where we can assist with all aspects of interior decoration using our range including paint, wallpaper, made-to-measure curtains and upholstered furniture for as many rooms as required. *Our hassle-free measuring service is £50 and this covers locations within a 30-mile radius of our stores. If you live further afield our regional interior designer is available to visit for a small additional charge. Find your nearest store. I am very happy with my blinds and curtains. They are just what I wanted. They look lovely in both the bedroom and the sitting room and have completely refreshed both rooms. I really appreciated your home visit and advice which helped me to make a choice from so many gorgeous fabrics. Simply fill out your details below and a member of our interior design team will be in touch. Your details have been successfully submitted. The page will now reload.